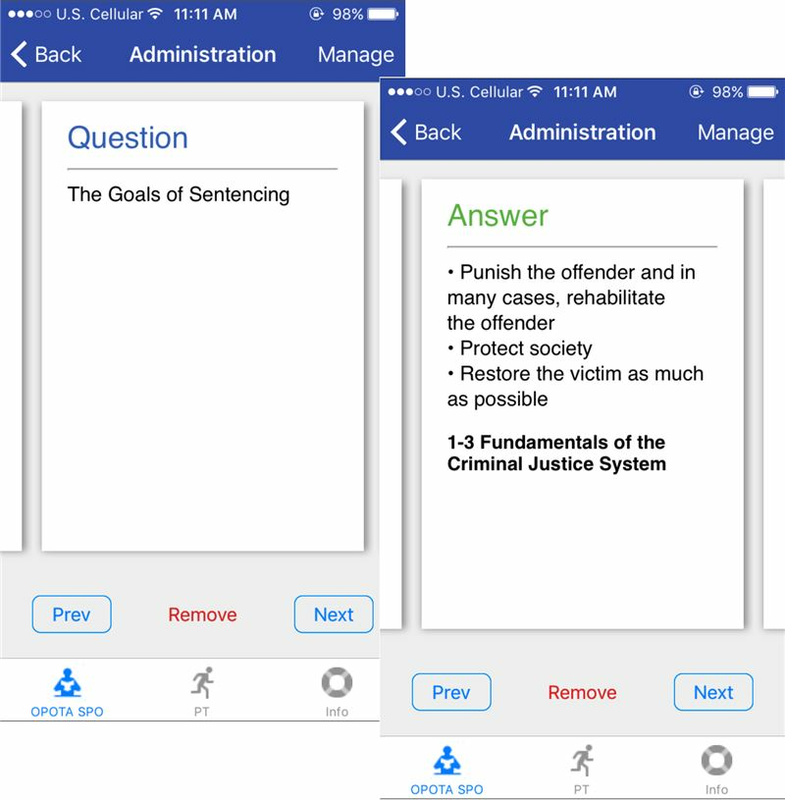 Virtual Police Academy is a test preparation app for police, security, and corrections officers.  This app saves yourself so much time. Writing out flashcards takes time and energy that you could be using to learn the material. By the time you have everything written out, where is your motivation? What happens to your flashcards when you aren't studying? They can easily become unorganized or misplaced. We know how busy Academy life can be. We would like to help you simplify it. We have created an app to make the process easier and more enjoyable, while also helping you to retain more information after all of the tests are over. Our apps are customized for your state and exam type. Currently we offer questions for the Ohio Peace Officer Training Academy (OPOTA), the Florida Department of Law Enforcement (FDLE), and the Texas Commission on Law Enforcement (TCOLE). We are working on a few more states’ flashcards app as well. The flashcard format makes studying easier. Review only the categories and questions you need to study, and hide the ones you’ve already learned. Having all of your exam prep materials accessible on your phone is great for quick reference and study sessions leading up to your exam. 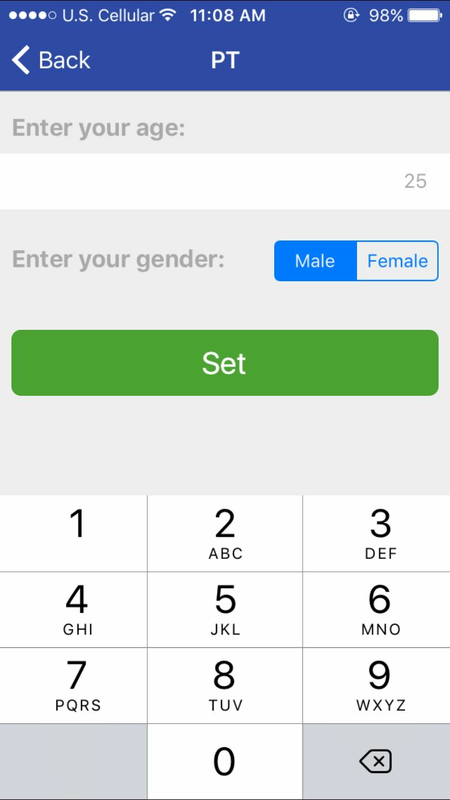 The PT option allows you to set your age and gender before you begin training for the physical test. After you press the Start button, the app will track the time it takes you to complete 1.5 miles. 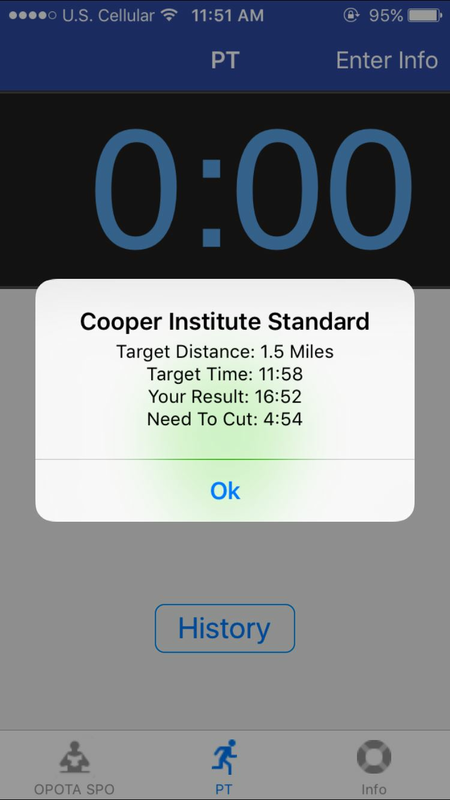 Once you have finished, press the Stop button and the app will show you your results including the date, how long you ran for, and the amount of time you would need to cut before taking the test. It will also track your improvement history. 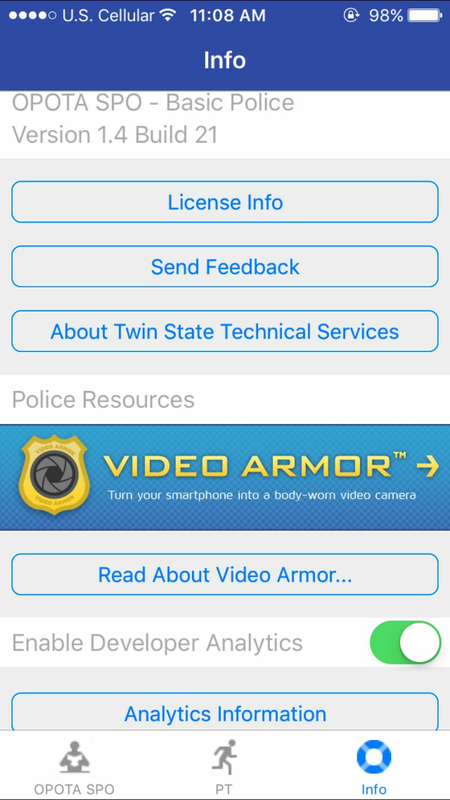 From the mind of Tom Saccenti and the technical know-how of Twin State Technical Services, our flashcard apps were created to help people study for their police academy exams. These apps are easier and more effective than handwritten flash cards, which can easily be lost or damaged. 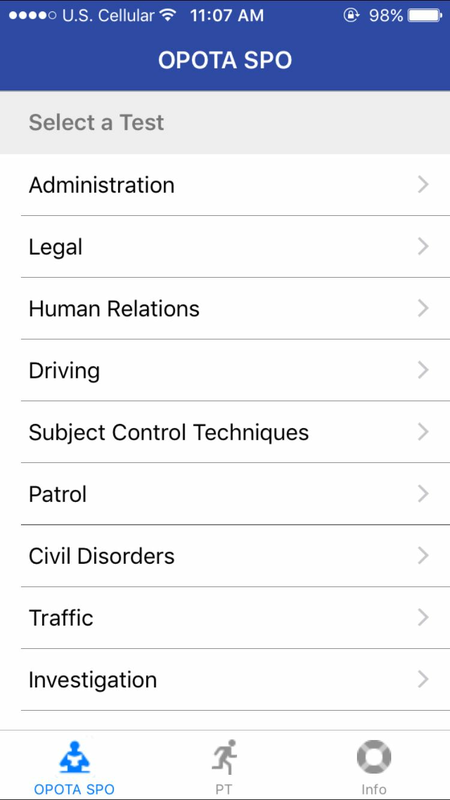 Our police flashcard apps will help you prepare and retain information not only for exams, but for your future in Law Enforcement. With a straightforward layout and easy-to-use interface, you can use these flashcards to simplify the learning process. This app uses plain language, so you will always understand what you are studying.